Perhaps I could alternatively title this ‘Why I should never knit while taking migraine medication’ or ‘Why grafting is a saviour’. I started knitting an Abalone cardigan last week when I was laid low with flu and a migraine (it was a fun week). Obviously, since I am never one to make things simple, I decided to rework it, instead of simply following the pattern’s bottom up construction, and switch it to top down. Thankfully at least one other Raveler had decided to do this and left detailed notes, which did make things simpler. Lots of provisional cast ons, grafting and linking sections later, the shoulders and arm holes were completed and I started on the main body. A couple of inches in… guess what I spotted. Now these pictures are taken after I spotted the mistake and unpicked the row which joined the front from the rest of the body. The stitches were placed on stitch holders. But I thought it fair to share the sheer stupidity of this error. Yup, I managed to twist the front twice. Oops! Thank goodness for grafting. The joining row was unpicked and then reattached properly. 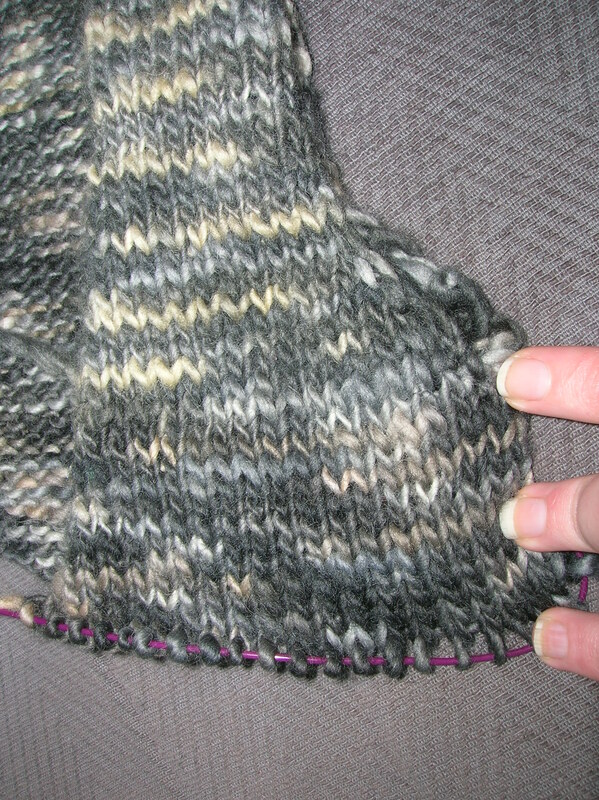 Tags: error, grafting, kitchner, knitting, saved, wip | Permalink.